Are Obsessive Thoughts Taking Control of Your Life? Are you constantly worrying about your relationships, children, financial situation or career? Do you agonize so much that you are paralyzed by fear? Are you experiencing alarming physical sensations, such as shortness of breath, sweating or heart palpitations? Do you avoid social situations because you feel that people are judging you? Are intrusive thoughts keeping you up all night? Do you long to take control of your fear so that you can be yourself again? Anxiety can have a devastating impact on your life, causing significant harm to your relationships, career and family situation. Whether it’s generalized anxiety, or the fear of something specific, anxiety can take a toll on your mental, emotional and physical health. Perhaps you’re living in a constant state of turmoil, unable to relax or calm down. You might be up all night, worrying about your job, finances or relationships. You might fear being judged and criticized by others. For you, the mere idea of social interaction may elicit overwhelming sensations of dread and fear. Perhaps you desperately want to get back in touch with your version of normal, but fear your anxiety is just too severe to overcome. As much as we all want to enjoy a worry-free life, everyone feels anxious sometimes. Nearly 7 percent of adults (over 40 million Americans) have some form of anxiety, not including the countless cases that go undiagnosed each year. If you’re feeling anxious, then you’re certainly not the only person feeling stressed and apprehensive. Anxiety is normal and can even be beneficial. It is a natural reaction to stressful experiences we face every day and can actually be motivating, as when it helps us to prepare for a test, or adaptive, like when it helps us to avoid dangerous situations. Generalized Anxiety Disorder – characterized by excessive worrying, moodiness and negative thinking. Sufferers may experience insomnia, feel tension in the back or neck or become restless, edgy and irritable. Panic Disorder – an intense fear that comes on suddenly. Panic disorder is usually accompanied by physical symptoms, including heart palpitations, sweating, shaking, dizziness or chest pain. Obsessive-Compulsive Disorder (OCD) – exemplified by uncontrollable repetitive thoughts, specific fears and compulsive, ritualistic behaviors, including checking and counting. Phobia -an intense fear of specific situations or settings (i.e., bridges, tunnels or flying); animals; or natural phenomena (including thunder and lightening). Social Anxiety – characterized by an intense dread of social situations, often resulting from a fear of being judged or evaluated. People with social anxiety will often avoid social situations in order to sidestep these negative feelings. Post-Traumatic Stress Disorder (PTSD) – indicated by emotional arousal related to traumatic events. PTSD can manifests as nightmares, irritability, intense fear and physical symptoms. No matter the form or severity of your anxiety you’re likely yearning to find solutions that will help you find relief. 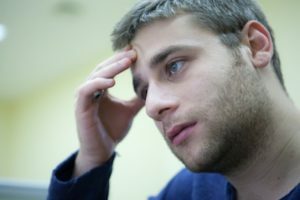 Anxiety treatment can help you better manage the worry, panic, fear and obsessive thinking that are likely keeping you from living the life you want. Treatment for anxiety disorders can be extremely effective. With the right therapist, tools and strategy, you can begin to create positive change immediately and enjoy long-lasting results. Many of my clients—even those with severe forms of anxiety—have found relief, often walking away with a renewed sense of fulfillment and zest for life. In our sessions, I can help you to identify strategies to effectively cope with your anxiety and manage stress. We will work together to create a treatment plan that addresses your specific needs so that you can begin to understand the source and scope of your anxiety. You can explore the triggers, thoughts and feelings that are causing your pain and identify new ways to control your symptoms so they no longer have a crippling effect on your life. I can teach you how to use visualization, breathing and relaxation techniques so that you can experience relief in the first moments when anxiety sets in. I can also help you challenge irrational thoughts that are making you anxious and develop new ways of thinking that can help you look at your problems in a different, more positive, light. With the support and guidance of an experienced and warm therapist, you can learn to manage, mitigate and even overcome anxiety. You can learn skills to help you in the moment when your anxiety levels rise, as well as regular practices you can use on a daily basis to keep your stress levels low. You can develop increased personal resilience and self-confidence. With help, it’s possible to live a life free from the prison of anxiety. I’m just a worrier. Anxiety treatment can’t change who I am. You don’t have to be known by family members and co-workers as “the worrier.” Your tendency to worry is not an innate part of your personality, but rather a symptom of anxiety. With the help of anxiety treatment, you can make positive changes in your life. With the guidance of a professional, compassionate therapist, you can manage worry and understand the nature of your anxiety. My symptoms will never change. I don’t think anxiety treatment can help. Although your anxiety may seem unconquerable, it is a very manageable condition that can be overcome. As a therapist with 10 years of experience, I’ve seen countless clients find relief by learning healthier coping skills and stress management strategies. If you’re willing to try these techniques, I’m confident we can achieve similar results for you. With the guidance and support offered by anxiety treatment, it’s possible to improve your relationships, become more productive at work and live your life free from the shackles of fear. If you’d like to know more about my practice or want to discuss your symptoms, please call me at (516) 639-0925 for a free 15-minute phone consultation.